Principal Cast : Thomas Jane, Marica Gay Harden, Laurie Holden, Andre Braugher, Toby Jones, William Sadler, Jeffrey DeMunn, Frances Sternhagen, Nathan Gamble. Synopsis: A small town on the Eastern coast of the USA is blanketed by a mysterious thick mist, out of which come hideous alien creatures intent on killing them all. Without hope, the small gathering of townspeople begins to fall apart as social order breaks down in the looming crisis. What we think : Frank Darabont nails his third Stephen King story, with a heart-pounding character study of desperation, hope and desolation. 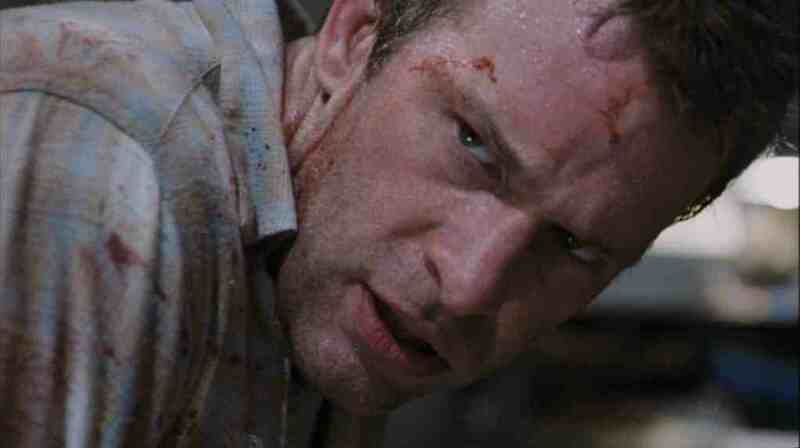 Featuring one of the great “gotcha” endings of all time, The Mist is highly recommended viewing. Expectations were high when news broke that director Frank Darabont was going to direct another Stephen King short story, particularly The Mist. After all, his success with King’s shorter works with The Shawshank Redemption and The Green Mile had set the bar quite high, and although perhaps not in the same genre as those films, The Mist would offer Darabont a chance to return to his roots: horror. 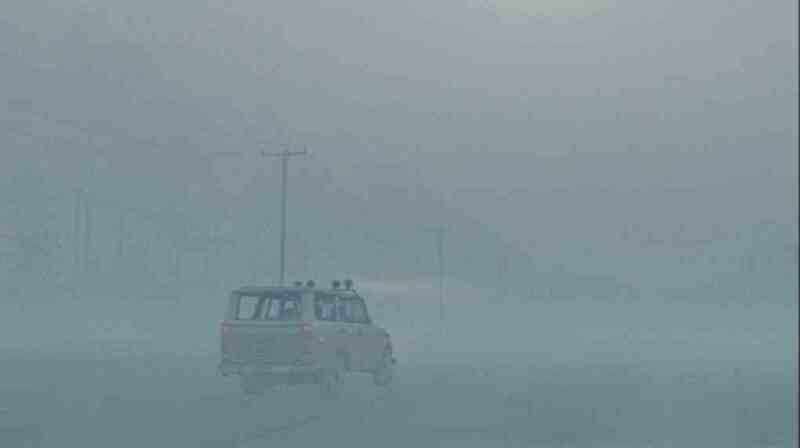 The Mist is a fantastic film. That’s not to say it’s without fault, but it’s a truly entertaining and heartbreaking movie. For those who generally abhor horror movies for blood and gore, this film is minimalist in this regard, so ladies, feel free to watch without fear of the truly graphic. The film does tread a fine line, however, with the graphic nature of dead bodies being strewn about, so be warned, but the gore level is kept to a minimum most of the time. What’s The Mist about? Well, a small town is suddenly blanketed by a strange and inpenatrable mist (well, duh!) and a group of townsfolk find themselves trapped inside a supermarket. Of course, being a King story, there’s the obligatory monsters and creatures that live within the mist, and it’s not too long before members of the group are picked off, snatched and dismembered by these barely seen antagonists. 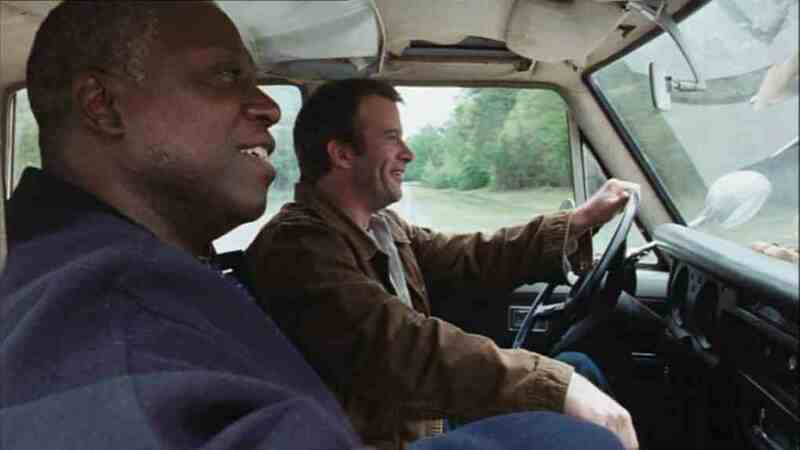 Thomas Jane, who most people would have seen in the poorly received The Punisher, plays David Drayton, a local artist who becomes separated from his wife, with his son, in the supermarket after a freak storm wreaks havok in the town. The mist settles in, and he quickly becomes aware of the monsters attacking them whenever people venture outside. Jane is the star, and although most of the rest of the cast are predominantly unknowns here in Australia, there are a few recognizable faces in the crowd for those keen to keep an eye out. Marcia Gay Harden, who won an Oscar for Pollock (and was nominated for another in Mystic River) plays Mrs Carmody, the deeply religious town crazy-person who sees all this as the onset of biblical Armageddon, and refers several times to the book of Revelation. 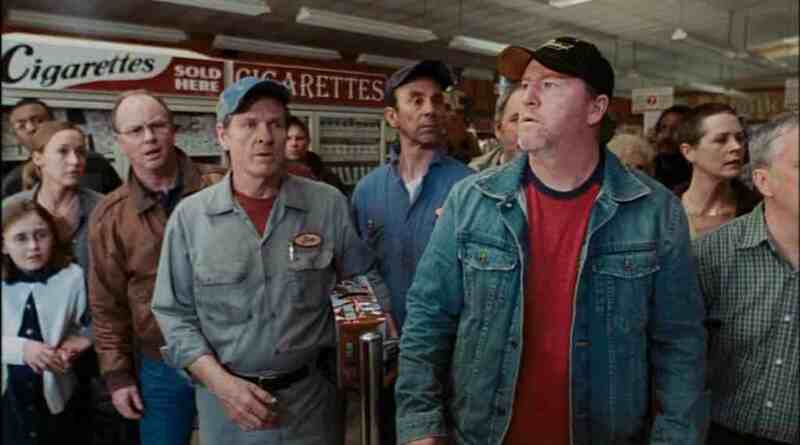 Darabont regular William Sadler plays a dimwitted mechanic, and Jeffrey DeMunn (who appeared in The Green Mile as one of the prison guards, as well as Shawshank and The Majestic) as a town local. 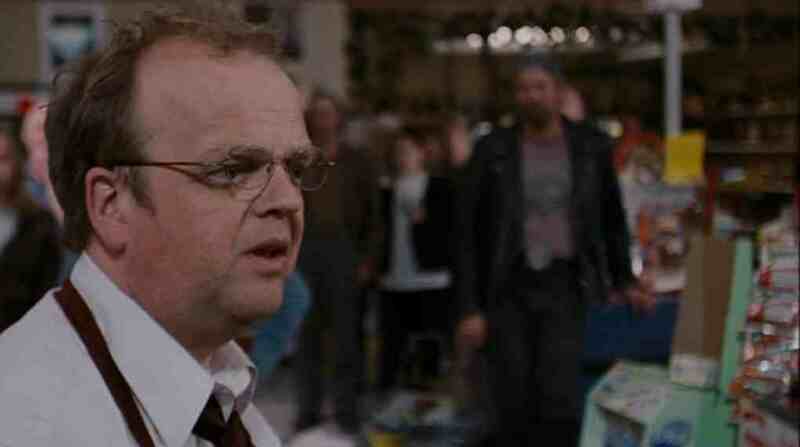 Special mention must surely go to the awesome performance of one BFI Winner (Infamous) Toby Jones, whom nobody will recognize except if you’ve seen Ever After, when he played a sycophantic subordinate to the King & Queen and malefactorial role towards Angelica Houston’s evil stepmother. Jones plays Ollie, an assistant manager of the supermarket, who sides with Drayton when things go bad. And bad they go. From outside, you have the constant fear of attack from the unknown supernatural beings, and from inside, the stress and terror threaten to turn the increasingly paranoid group on each other. Of course, the persistent (and by that I mean very persistent) rantings of Mrs Carmody don’t help, and soon she begins to convert those of weaker mind towards her way of thinking; that is, they must sacrifice members of their group to appease the wrathful and vengeful God in order to survive. The Mist is, as you’d expect, replete with the traditional cliched characters of films of this type. The heroic coward, the moron who tries hard but inadvertently causes more and continued disaster, the kid who never runs from danger but instead stands there waiting for people to save him, the old guy who is braver than reason dictates, the old woman who is not as batty as people once thought… you know, the usual. Thankfully, rather than becoming your walking cliche throughout the film, Darabont manages to coax decent characters out of his cast, and they all have rational, straightforward motivation (well, expect for Mrs Carmody, who rants and raves ad-nauseum) which results in a bunch of people you actually care about, rather than a bunch of people you can’t wait to be bumped off. Over the course of the film, we are introduced to increasingly more violent and larger creatures of doom, all of whom take great pleasure in eating, dismembering and exploding our human characters. These are all presented with a mix of practical and digital effects. I must mention that I found some of the visual effects were a little cluncky, slightly below par for a major film of this type, which relies heavily on the visuals. Some of the bug effects looked too arificial, and it dragged me out of the movie temporarily. Sometimes, however, the effects were awesome, and really brought home the horror of what we are supposed be seeing. The sound design throughout the film is stylish and enveloping as well, and the final ten minutes are some of the most gut wrenching sound you’ll ever hear from your home cinema. The film deviates somewhat from the short story mainly in it’s conclusion. According to the notes on the film, Darabont asked King if he could give the film a more dramatic ending, changing the story a little to give the film dramatic weight. King agreed, and what we now have is one of the most heart-wrenching finale’s to a film I have seen in all the thirty three years I have been alive. To say it kicks you in the guts and leaves your brain falling over the floor would be an understatement. One thing is for sure, you’ll be thinking about this film for hours, or days, to come. The Mist is superlative entertainment of the highest order, of a genre that’s often lambasted for crudity and profane gore. Here, Darabont has created a well crafted series of characters who are motivated not by a crudely written script telling them what to do, but by often realistic motivations, something sadly lacking in todays popcorn cinema. The Mist ranks high above them all. Even after watching trailers for this movie i had no desire to watch this, but now I want to know what the ending is that would make my brain fall out on the floor. Hey, did you end up watching the film?